Happy Fall Equinox! At this time of great change, I am heartened that Pope Francis will call for climate action from political leaders in his Rally in Washington DC on Thursday. Let’s join the Week of Moral Action for Climate Justice by donating, signing the petition, or sharing their page. 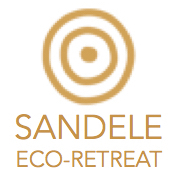 In March, I had the privilege of helping teach on an Ecovillage Design Education course at the Sandele Eco-Retreat and Learning Center in the Gambia. In addition to working with local villagers to develop an ecotourism plan for 20 miles of coastline we are excited to use Earth Deeds to enable ecotourists to support local solutions to global warming. Sandele was also recently announced as a Semi- Finalist for the Buckminster Fuller Challenge! Let’s hope they win! Students travel from all over the world to study Spanish at the Intercultura Language School in Costa Rica. 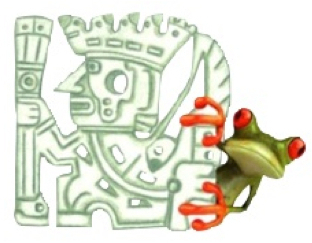 Now they can onset their travel and give back to their host community by supporting La Asociacion CREAR, which offers environmental education programs for local community members. Check out this short video that students watch in their orientations and let others know about this opportunity. Thanks! 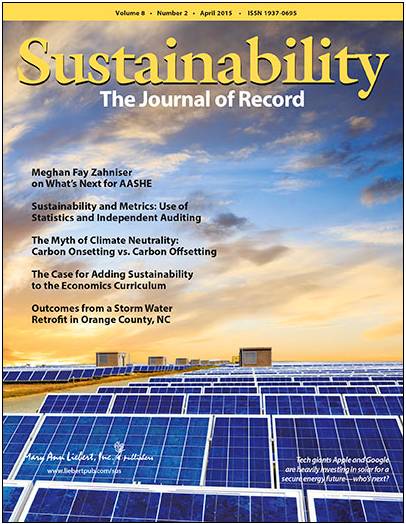 Earth Deeds’ part-time Communications Manager, Clara Fang, and I co-authored an article entitled The Myth of Climate Neutrality: Carbon Onsetting as an Alternative to Carbon Offsetting that was published in the April, 2015 issue of Sustainability: The Journal of Record. The article explores the controversy of carbon offsetting and proposes onsetting an alternative system that enables institutions to measure, reduce, and price their emissions and support campus and community-based sustainability projects. Let me know if you’d like me to send you a PDF of the article. “Parallel payments” are now working on our site so we can set up Projects to directly receive contributions rather than us needing to collect and disburse funds. Yay! 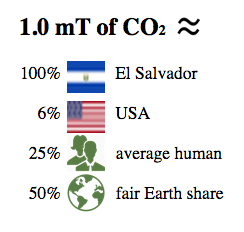 And our calculator now offers equivalencies of users’ carbon emissions to help them understand their real-world impacts. For example, a round-trip flight from New York to New Orleans emits ~1 tonne of CO2, which is approximately equivalent to watching ~11,000 hours of TV or the annual emissions of someone living in El Salvador! 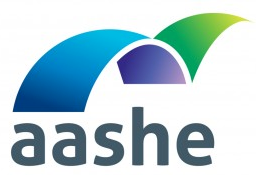 I will be speaking about onsetting at the Association for Advancing Sustainability in Higher Education conference on October 27th. They have expressed interest in onsetting the entire event in 2016, which would engage over 2,000 sustainability professionals to work with Earth Deeds. 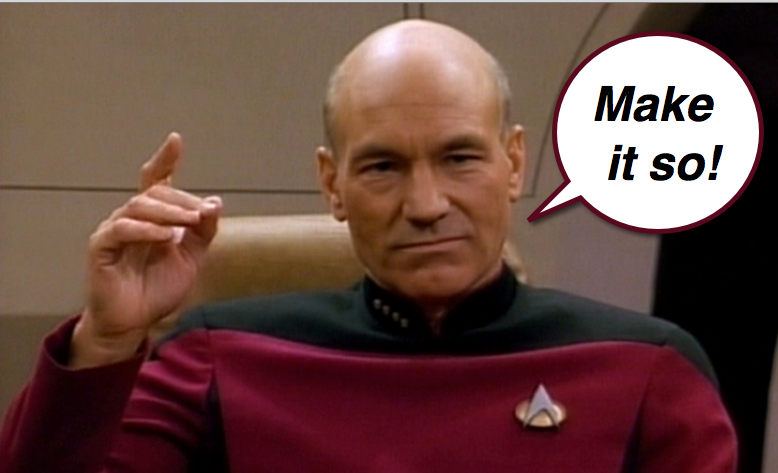 Okay, who remembers the Star Trek – Next Generation scene where an alien describes humans as bags of mostly water? It’s true! Our bodies contain over 90% water, which is a strong hint that it is a precious resource we should not squander. Repairing a leaky toilet can save 200 gallons of water per day! Running your dishwasher with only full loads can save 100 pounds of carbon dioxide and $40 per year. Let’s conserve and protect our water resources both for our own health and the health of our planet! Take care everyone and please feel free to contact us if you have any thoughts or questions!